Bosch Packaging Technology has developed new KLV series to help detect vacuum leaks in rigid glass containers. The new KLV series, which are part of Bosch’s portfolio of container closure integrity testing (CCI) technologies, can conduct high voltage leak detection and laser-based headspace analysis. The first in the series, the KLV 1360, is designed for vials. The machine is planned to be unveiled by the firm at the upcoming Interpack 2017 event. Feathering special inspection chambers for maximum performance, the machine is capable of inspecting between 250 and 600 containers per minute. It also allows for testing containers either individually or in groups. The machine features an advanced measuring technology which allows for measuring leaks equivalent to hole sizes of less than five micrometers. 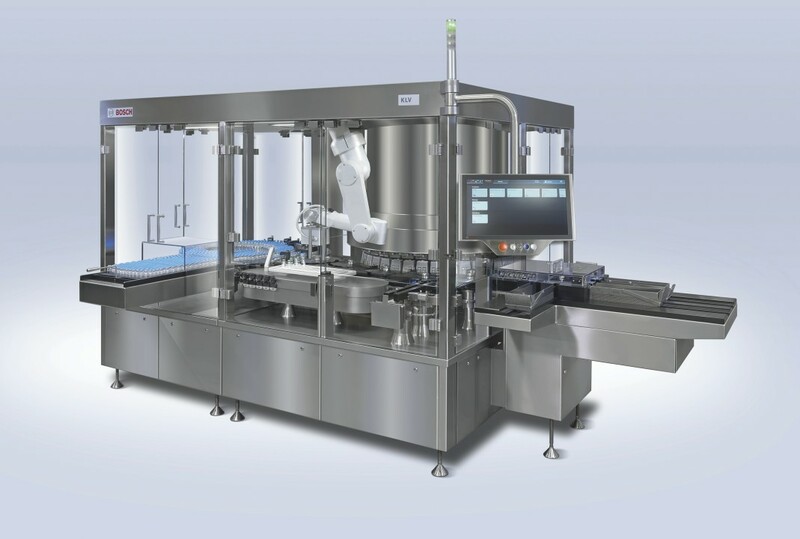 Additionally, the KLV 1360 features an integrated robotic system, which feeds the containers that require inspection into the process and adds reference samples for internal process control. A star-wheel system has also been integrated to the machine to ensure gentle transportation through the system with minimal wear and tear. Image: Bosch’s new KLV 1360 solution. Photo: courtesy of Robert Bosch GmbH.